Today, Amazon Cognito launched the beta of a new feature that makes it easy for developers to add sign-up and sign-in functionality to mobile and web apps. With this new feature, you get a simple, fully managed service you can use to create and maintain your user pool that can scale to hundreds of millions of users. This new feature also provides enhanced security functionality, such as email verification, phone number verification, and multi-factor authentication. 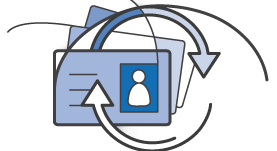 You benefit from the security and privacy best practices of AWS, and retain full control of your user data. To begin using the new beta feature with your user pool, see the Amazon Cognito page. To learn more, see the AWS Blog, AWS Mobile Blog, and the related documentation.